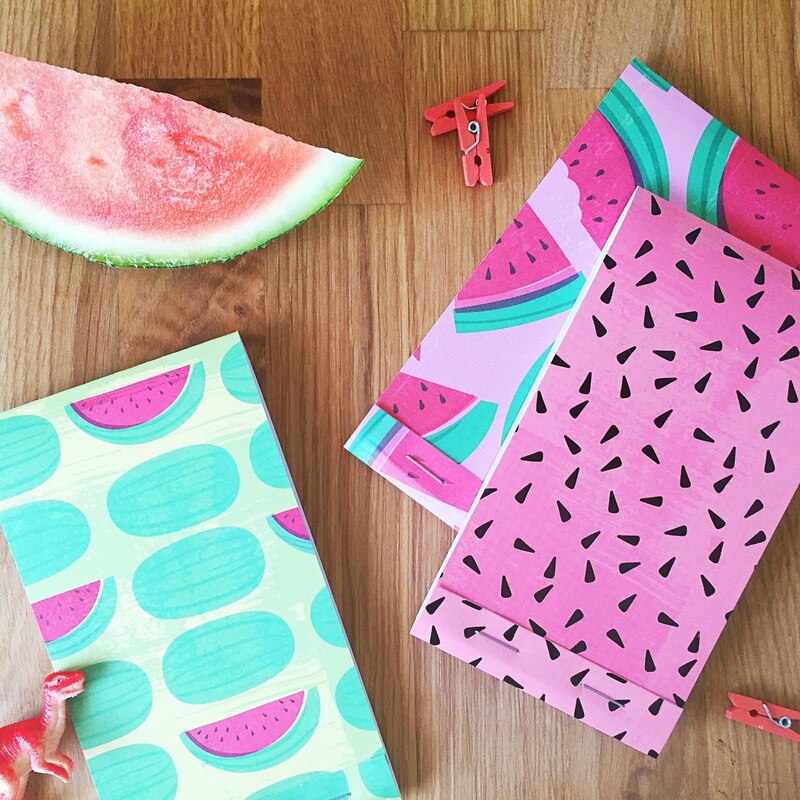 Petite Insanities: Watermelon and Pineapple Notebooks! What?! Watermelon and pineapple notebooks?! YES! Our extra-large 5.5" x 3" matchbook notepads are perfect for your beach bag, white-washed jeans pocket or bike basket. Get 'em in sweet gold pineapple or fun watermelon themed sets. My favorites are the watermelon seeds- they're the cutest! Pick 'em up in the shop.